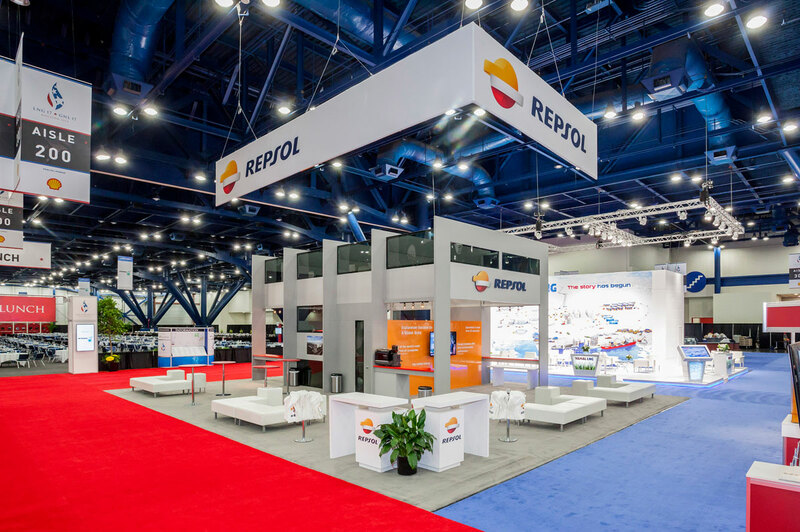 This client is a large energy company from Spain exhibiting at the OFC show in Houston. 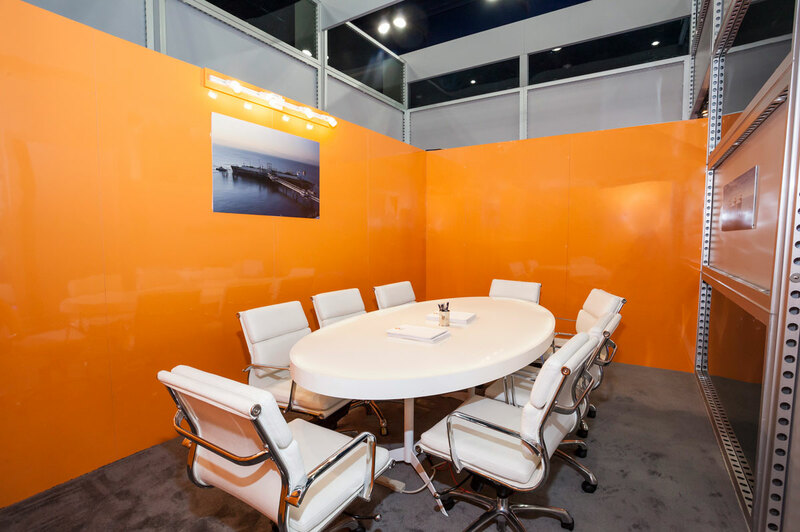 The client had a 40’ x 50’ space and required a rental booth with informal meeting spaces and a couple of private conference rooms. 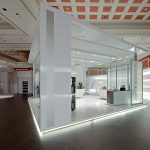 The goal was NOT to deliver a typical “rental booth” that would under represent such a reputable brand. 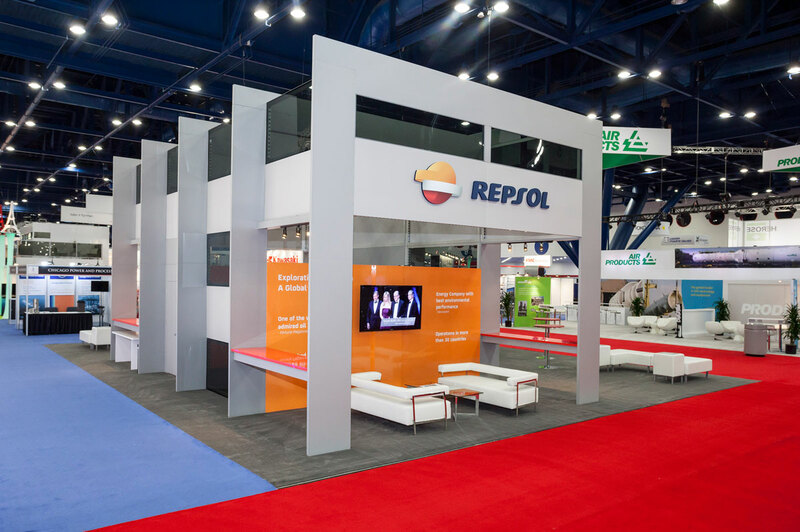 This show has some very large exhibitors with large impressive booths and it was critical to make sure Repsol looked like the large and substantial company they are without exceeding their budget for a rental property at this particular show. 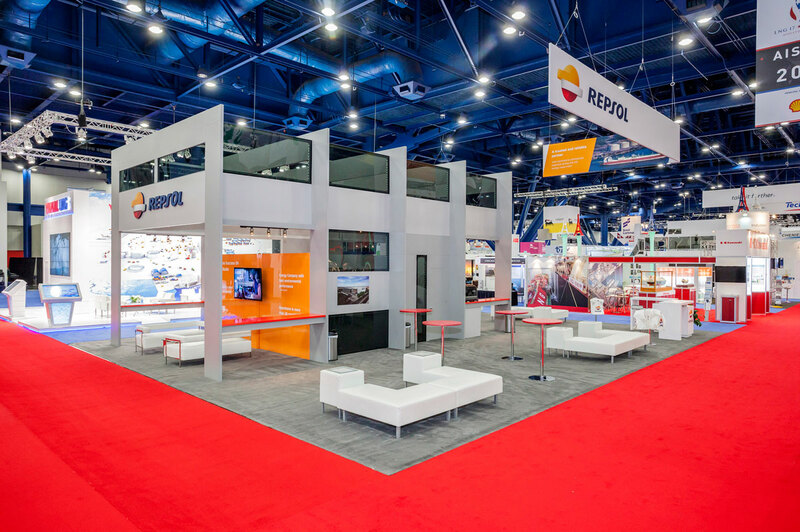 After addressing the functional requirements of the booth, the focus was on making the client look substantial and well branded. The structure has the look of a double deck but is actually all ground floor structure. 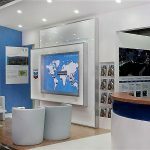 The large hanging sign anchors the space and allows the company brand to be visible across the show floor. All the components of this custom structure are rental properties which kept it on budget. Attendees were left with a positive impression of this major player in the global gas and oil field.